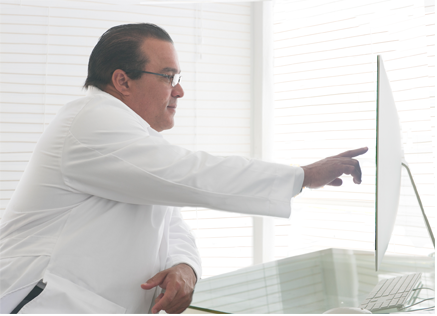 CDI counts with one of South Florida´s most respected and highly trained team of Board-Certified Radiologists. Backed by our talented and caring technologists, all our specialists are available for direct consultation. Medical Director – Digital Medical Imaging. Medical Director – Center for Diagnostic Imaging. President – South Florida Radiology Associates, Inc.
Out Patient Diagnostic Imaging Interpretation Services. Hialeah Hospital and Metropolitan Hospital. Miami, Florida..
Director – Non Vascular Interventional Radiology. Interamerican Hospital for Advanced Medicine (HIMA). Caguas, Puerto Rico..
GSW Radiology Group, Bayamon Health Center. Bayamon, Puerto Rico. Auxilio Mutuo Hospital. Hato Rey, Puerto Rico. Clinical de Turabo. Caguas, Puerto Rico..
Hospital San Gerardo. Cupey, Puerto Rico..
CertificationThe American Board of Radiology. Connecticut, Florida, New York, Puerto Rico and Rhode Island. Menonite General Hospital. Aibonito, Puerto Rico. Brown University School of Medicine. Rhode Island Hospital. St. Vincent´s Medical Center. Affiliated to Yale & NYMC. Ponce School of Medicine. Ponce, Puerto Rico. Nuclear Medicine – Digital Medical Imaging. Nuclear Medicine – Comprehensive Breast Care Center.Aventura and North Miami, Florida. Department of Nuclear Medicine, Florida Medical Center. The University of Texas Medical Brach Hospitals. Galveston. Damascus University, School of Medicine. Damascus, Syria..
Clinical Trials. 18F-AV-45 Alzheimer´s Disease Amyloid Ligand PET Imaging. Establishment of PIE (Partners In Excellence) Program. ProstaScint Imaging Utilizing Radiolabeled Monoclonal Antibodies for Prostate Carcinoma. Cytogen Corporation. Florida Medical Center. Clinical Trials, Metastron “Stronium-89″ Breast and Prostate Cancer Bone Metastasis Treatment. Amersham Corporation. Florida Medical Center. Prostate Cancer Support Group. Tamarac, Florida.